Itchan Kala est la ville intérieure, retranchée derrière des murailles de brique hautes d'une dizaine de mètres, de l'ancienne oasis de Khiva, qui était l'ultime étape des caravaniers avant de traverser le désert en direction de l'Iran. Bien qu'ayant conservé peu de monuments très anciens, elle constitue un exemple cohérent et bien préservé d'architecture musulmane de l'Asie centrale avec des constructions remarquables comme la mosquée Djouma, les mausolées et les medersa et les deux magnifiques palais édifiés au début du XIXe siècle par le khan Alla-Kouli. ايتشان كالا هي المدينة الداخلية المحصّنة وراء جدران من الآجر يبلغ علوّها عشرة أمتار وتقع في روضة خيوة (خوارزم سابقا) الصحراوية القديمة، وهي كانت أهم محطة المخيم المتنقل قبل اجتياز الصحراء للوصول إلى إيران. وبالرغم من أنها حافظت على القليل من آثارها القديمة جدًا، إلاّ أنّها تشكل مثالاً متماسكًا على الهندسة الإسلامية لآسيا الوسطى مع المنشآت البارزة، مثل مسجد دجوما والمعابد والمدارس والقصرَيْن الرائعَيْن اللذَيْن شيّدهما الخان آلا كولي في بداية القرن العشرين، التي تتمّ المحافظة عليها بشكل جيد. Ичан-Хала – это защищенный 10-метровой кирпичной стеной Внутренний город древнего Хивинского оазиса. Он служил последней остановкой для караванов перед пересечением пустыни на пути в Иран. Несмотря на то, что в городе сохранилось лишь небольшое число очень старых памятников, он признан целостным и хорошо сохранившимся комплексом среднеазиатской исламской архитектуры, где можно увидеть такие выдающиеся сооружения как Джума-мечеть, мавзолеи, медресе и два великолепных дворца, построенные Аллакулиханом в начале XIX в.
Protegida por una muralla de ladrillo de unos 10 metros de altura, Itchan Kala es la ciudadela del antiguo oasis de Jiva, última etapa de las caravanas antes de empezar la travesía del desierto con rumbo a Irán. Aunque ha conservado pocos monumentos antiguos, este sitio constituye un ejemplo coherente y bien conservado de la arquitectura musulmana del Asia Central. Entre los edificios notables destacan la mezquita Djuma y los dos magníficos palacios construidos a comienzos del siglo XIX por el kan Alla Kulli, así como varios mausoleos y madrazas. Itchan Kala is de binnenstad - omringd door stenen muren van ongeveer 10 meter hoog - van de oude Khiva-oase. Itchan Kala was de laatste staplaats van woonwagens voordat de bewoners de woestijn overstaken naar Iran. Hoewel er nog maar weinig zeer oude monumenten intact zijn, is het een goed bewaard gebleven voorbeeld van de islamitische architectuur van Centraal-Azië. Er zijn verschillende opvallende gebouwen zoals de Djuma-moskee, de mausolea, de madrassas - van majestueuze verhoudingen, maar eenvoudig in ontwerp - en de twee prachtige paleizen, gebouwd aan het begin van de 19e eeuw door Alla-Kulli-Khan. Itchan Kala, the inner fortress of Khiva, is located to the South of the Amu Darya River (known as the Oxus in ancient times) in the Khorezm region of Uzbekistan and it was the last resting-place of caravans before crossing the desert to Persia. Itchan Kala has a history that spans over two millennia. The inner town has 26 hectares and was built according to the ancient traditions of Central Asian town building, as a regular rectangle (650 by 400 meters) elongated from south to north and closed by brick fortification walls that are up to ten meters high. The property is the site of 51 ancient monumental structures and 250 dwellings and displays remarkable types of architectural ensembles such as Djuma Mosque, Oq Mosque, madrasahs of Alla-Kulli-Khan, Muhammad Aminkhon, Muhammad Rakhimkhon, Mausoleums of Pahlavon Mahmoud, Sayid Allavuddin, Shergozikhon as well as caravanserais and markets. The attributes are outstanding examples of Islamic architecture of Central Asia. Djuma Mosque, a mosque with a covered courtyard designed for the rugged climate of Central Asia, is unique in its proportions and the structure of its inner dimensions (55m x 46m), faintly lit by two octagonal lanterns and adorned with 212 columns. The madrasahs, which make up the social areas, have majestic proportions with a simple decoration, and they form another type of Islamic architecture specific to Central Asia. The place of the architectural heritage of Itchan Kala in the history of Central Asian architecture is determined not only by the abundance of surviving architectural monuments, but also by the unique contribution of Khorezmian master builders to Central Asian architecture and preservation of its classical traditions. The domestic architecture of Khiva, with its enclosed houses with their courtyard, reception room with portico or avian supported by delicately sculptured wooden posts, and private apartments, is also an important attribute of the property that can be studied in its 18th- and 20th-century morphological variants. However, the outstanding qualities of Itchan Kala derive not so much from the individual monuments but also from the incomparable urban composition of the city, and from the harmony with which the major constructions of the 19thand 20th centuries were integrated into a traditional structure. Criterion (iii) : Withthe coherent and well preserved urban ensemble of the inner town of Khiva, Itchan Kala bears exceptional testimony to the lost civilizations of Khorezm. Criterion (iv) : Several monuments of Itchan Kala constitute remarkable and unique types of architectural ensembles, built according to the ancient traditions of Central Asia, which illustrate the development of Islamic architecture between the 14th to the 19th century. Criterion (v) : The domestic architecture of Khiva, with traditional architectural style, represents an important example of human settlements in Central Asia by virtue of its design and construction. The boundaries of the property are appropriately drawn encompassing the high fortification walls of the city. All the elements that express the outstanding universal value of Itchan Kala are included within the property. The total area of the Itchan Kala with its square shaped defensive walls and surroundings has remained intact. The madrasahs, mosques, narrow traditional streets, settlements, caravanserai, marketplaces and minarets are being maintained. A degree of natural threats exists, in particular termite infestation of wooden structures, soil salinity and humidity affecting the foundations. These threats need to be controlled and necessary actions should be taken in order to retain the intactness of the property. Itchan Kala retains authenticity and has been maintained in its original state. The restorations that have been carried out have respected the traditional building techniques and the use of traditionally treated local materials such as baked brick, wood and stone. Itchan Kala was designated as a Reserve under the Decree of the Cabinet of Ministers of the Uzbek SSR in 1967. The property is now classified as a site of national importance. 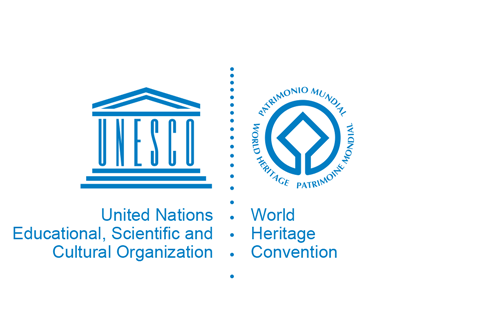 Relevant national laws and regulations concerning the World Heritage property include: (i) The Law on Protection and Exploitation of Cultural Heritage Properties, 2001; (ii) The Law on Architecture and City-building, 1995; (iii) The Instructions on Rules of Recording, Safeguarding, Maintaining, Utilisation and Restoration of Historical and Cultural Monuments, 1986; (iv) The Instructions on Organization of Buffer Zones for Historical and Cultural Monuments, 1986. The above mentioned laws, rules and instructions are legislative norms applied for the protection of the cultural heritage of Uzbekistan. The execution of these legislative norms is under the responsibility of the Ministry of Culture and Sport and the overall control is undertaken by the Legislative chamber of Oliy Majlis (Parliament) of the Republic of Uzbekistan. For the enforcement of these laws and legislative acts, the Ministry of Culture and Sports develops a state programme aimed at research, conservation and utilization of the cultural heritage of Khorezm region, in particular Itchan Kala. The programme is submitted to and to be approved by the Cabinet of Ministries of Uzbekistan. Individual architectural Monuments of the Reserve were protected under a number of legislative acts of the state policy of the USSR on the preservation of monuments of history and culture. In 1967 the property was granted the legal status of the State Architectural and Historic Reserve (Resolution no. 61) of the Council of Ministers of the Uzbek SSR. Since 1969 it is a museum and reserve. Management and controls are carried out by the Ministry of Culture and Sports, through the Principal Board on Monuments Protection, at national level and by the Khorezm Regional Inspection on Preservation and Restoration of Objects of Cultural Heritage at regional level. The use, maintenance and monitoring of the monuments within the boundary of the property are carried out by Itchan Kala Reserve Directorate. Funding is provided by the State, the Regional and the Itchan Kala Reserve budgets. The state of conservation of the property has improved over the past 15 years. A 10-year complex programme is in the process of being prepared by the Main Department on Preservation and Restoration of Objects of Cultural Heritage and a buffer zone is being defined. To sustainably attend to conservation and management concerns, a management plan is needed as well as resources for its comprehensive implementation.